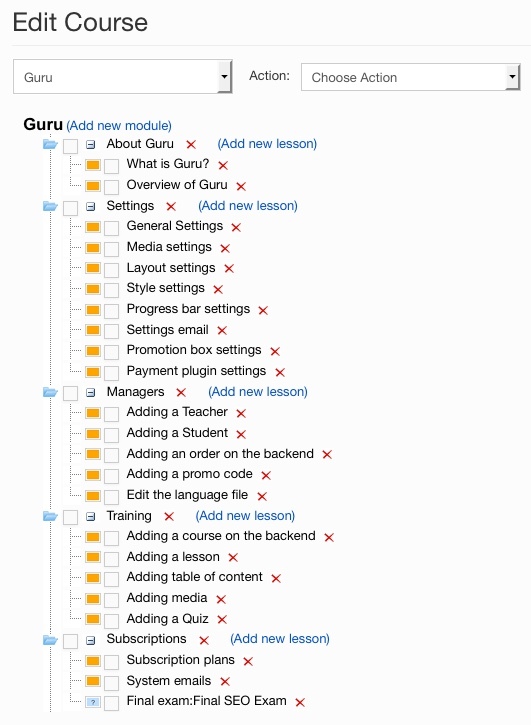 Create unlimited online courses with modules & lessons, on Guru's easy interface. 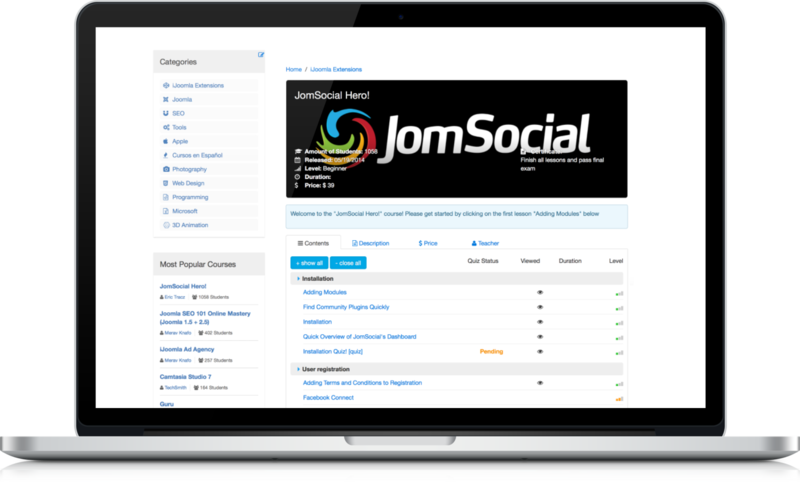 With our online course management system for Joomla CMS you can add as many courses as you want and manage them on the Courses Manager. Enter the course name, category and author. Choose a difficulty level and enter a description. The image will be displayed on the course page on the top, left or right. 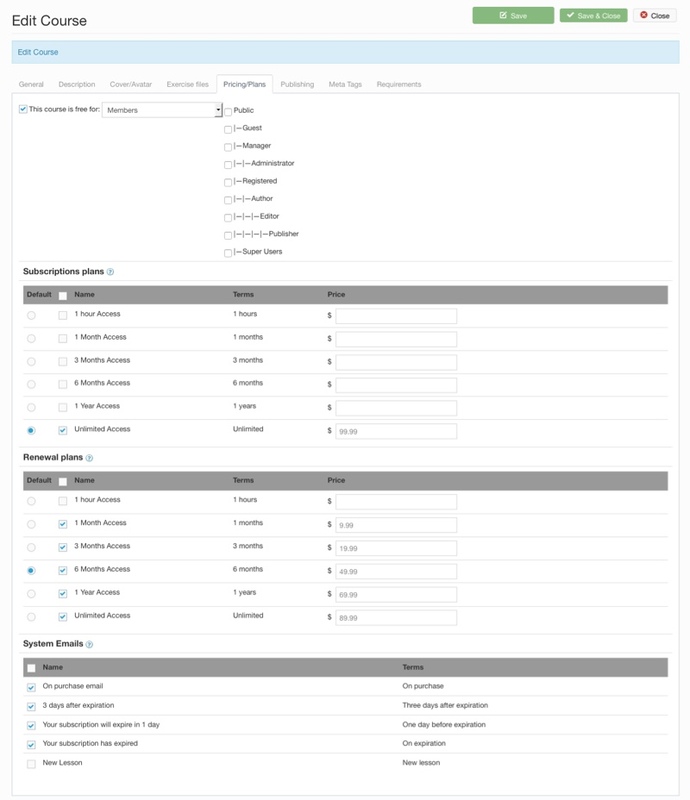 Select files to show on the front-end. Select prerequisite courses, if any. Enter any other prerequisite books and materials. Select the subscription plans and set the price. Select the renewal plans and set the price. Select which subscription e-mail reminders will be sent. 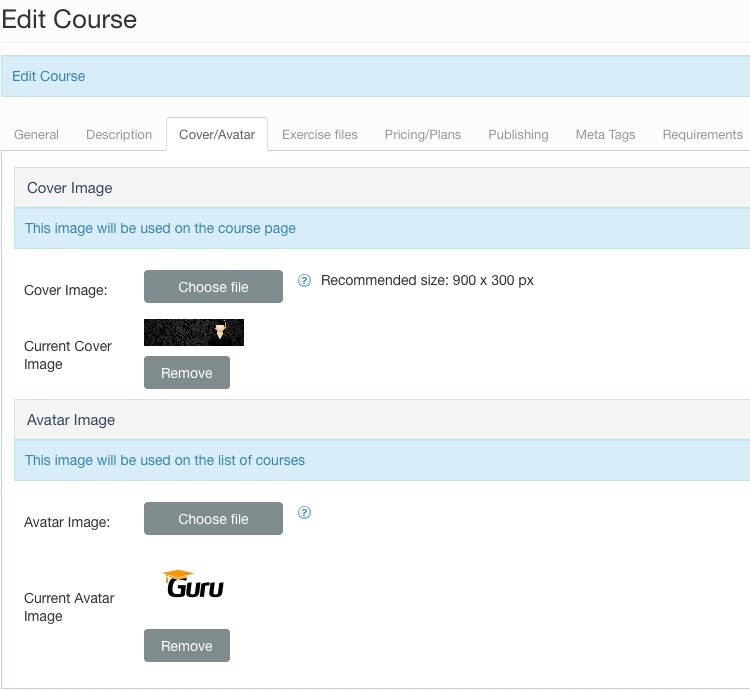 Select whether or not the course will be published. Select a start and end publishing date. 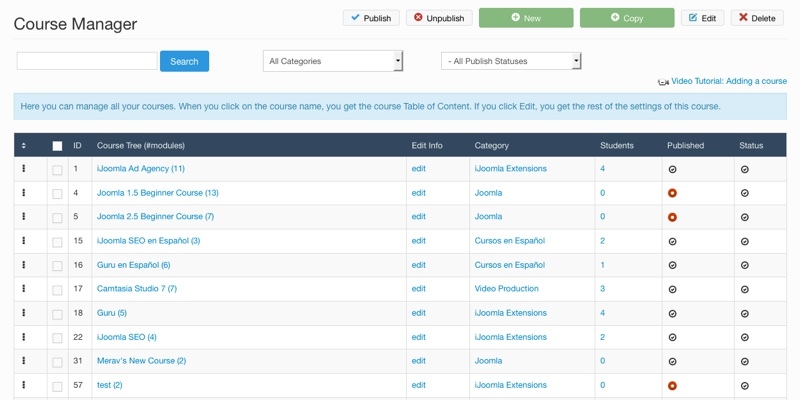 On this tab, you can enter the metatags for the courses page. Meta tags are important for search engine optimization. 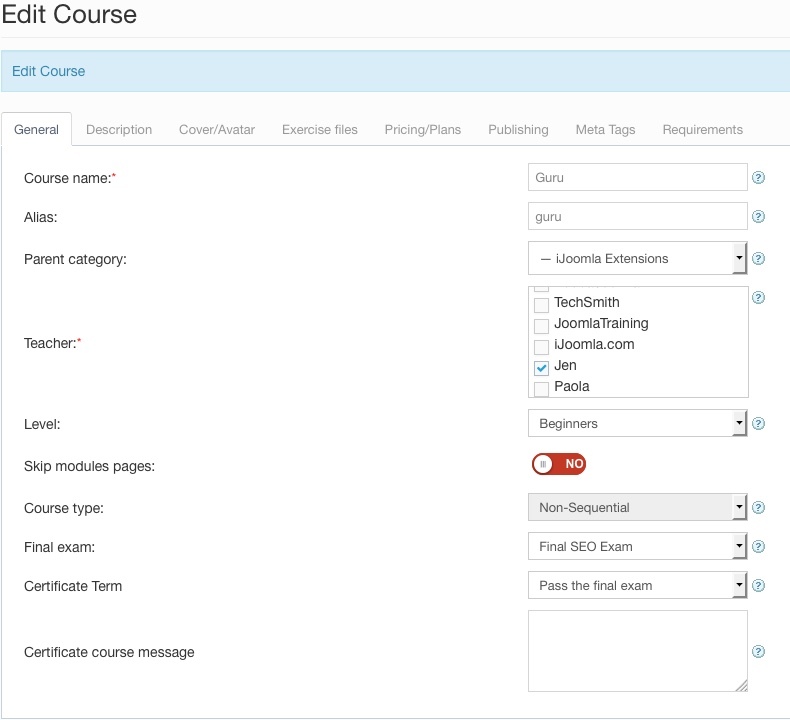 Once you create the course, you can start working on your course tree. Just click on the course name. And create your course tree.